Many high school seniors speak of the legitimate demands on their time, which include gaining acceptance into college, challenging academics, participation in sports, time spent with friends and family, a social life … the list goes on. 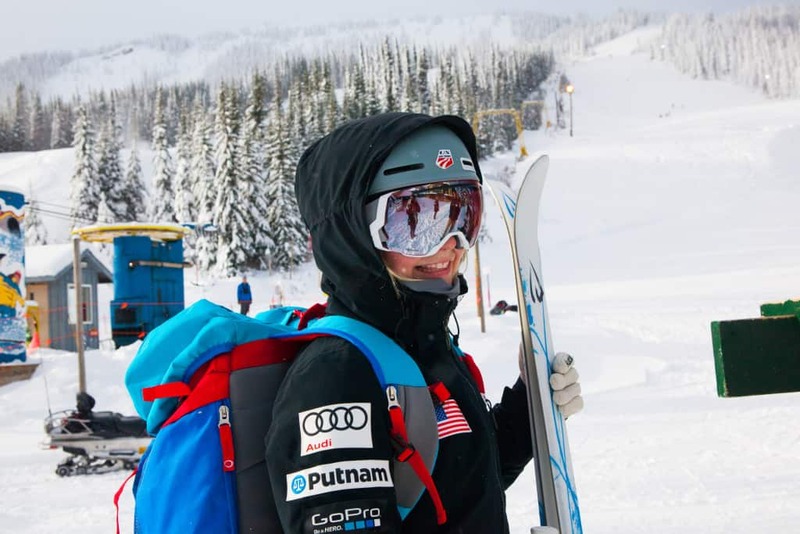 Killington Mountain School senior Hannah Soar manages to balance all of those aspects of life, all while also being a member of the U.S. Freestyle Ski Team, which requires its own intense level of commitment and focus, and she does so adeptly and admirably. This past weekend, Soar competed in her first World Cup, traveling to Deer Valley, Utah, to compete in Singles and Duals events. Her finishes were solid: in Singles she was 19th and she was 15th in Duals. Soar then talked through the comp days, to give someone who hasn’t ever competed at this level a feel for what it’s truly like. “On Singles day, I got to sleep until 9 a.m.; I didn’t set any alarm clock. It was amazing. It’s good to be occupied during the day when you have a nighttime event, so I usually hang out with teammates. We played cards and Bananagrams and just kept things light-hearted to keep our minds somewhat relaxed and distracted.” Hannah then explained that warmups were at 1:30, and at that point, the time to focus and home in on the task at hand had really arrived. Soar said it was nice to have her first World Cup competition run behind her, and the takeaway was exciting. “After my run, I finally really knew I belonged there,” Hannah said. “It felt good to have the recognition and the internal knowledge that I really belonged at the comp and on the team.” Once her run was completed, Soar said it was very fun to watch the rest of the day of competition. Friday was a training day, with the opportunity for night training, which Soar said was really helpful to ski the course in the pitch black dark under the lights. Saturday was Duals, in front of a big crowd, estimated at 10,000 people. The competition started just after 5 p.m., and Hannah’s first Dual was in a round of 32 against Regina Rakhimova, 11th in the world. The determination and poise it takes to achieve goals like this, all while keeping up with challenging academic work is no small task. Soar has stayed on top of her studies by getting ahead in her classes while on campus, and by connecting with faculty remotely while she’s gone training with the team, via Google Classroom, email, and videoconferencing software. In addition, she’s applied to and waiting to hear back from a slew of outstanding colleges and universities.